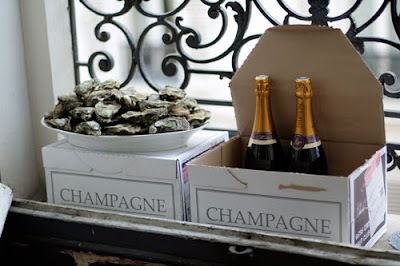 Forget turkey, oysters are the most important Christmas must-have in France. The markets, grocery stores and even some sidewalks have been piled high with wooden crates full of oysters for folks to lug home for the festivities. 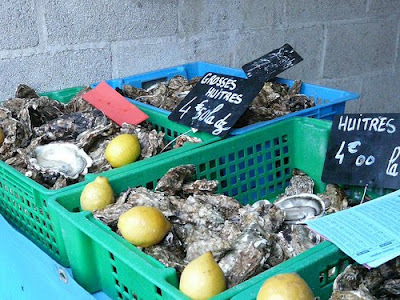 Oysters are call 'huitres' here in France and leave it to the French to turn oyster selection into a science. I've been told the hospitals in France have a high rate of intakes around Christmas from too many people stabbing themselves with oyster knives. 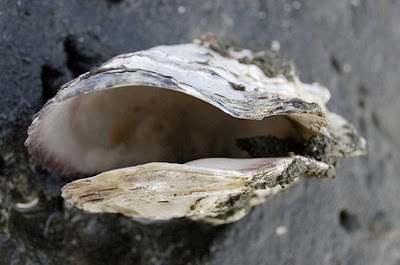 Most aficionados swear that oysters cannot be consumed between May and August – the old saying is that you have to wait until there's an 'R' in the month - September to April. Down here in the south of France they say “Dans les mois plus froids de la mi-hiver, tout à l'heure, c'est quand les huîtres sont de leur mieux, à leur plus succulent et savoureux”. In the coldest months of midwinter, just now, that's when the oysters are their very best, at their most succulent and tasty. So, in France, Christmas and New Year's Eve are the perfect time for oysters, and you can be sure to see a plate of oysters on any holiday menu. They make a great first course and are generally served up just the way they come out of the shell, or accompanied with a red wine vinegar and chopped shallot sauce. Granted oysters are an acquired taste. My very first encounter with an oyster seemed more like meeting up with an extraterrestrial, but more often than not, these slippery, squishy crustaceans have a way of becoming a treat that may delight you to no end. The obvious white wine choices for oysters would be a bottle of Sancerre or Muscadet Sur Lie, however a nice Pinot Gris from the Alsace which is slightly fruity and not so dry would also make an excellent pairing. Joyeuses Fetes!